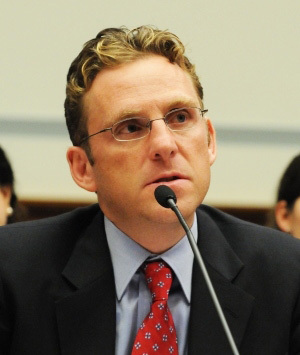 Mark Dubowitz is the CEO of the Foundation for Defense of Democracies, a Washington, D.C.-based nonpartisan policy institute, where he leads projects on Iran, sanctions, and nonproliferation. Mark has advised the Trump, Obama and Bush administrations and lawmakers on both sides of the aisle on Iran issues and testified more than twenty times before the U.S. Congress and foreign legislatures. Mark heads FDD's Center on Sanctions and Illicit Finance and is the co-author of fifteen studies on economic sanctions against Iran. He also is co-chair of the Project on U.S. Middle East Nonproliferation Strategy. Mark is a lecturer and senior research fellow at the Munk School of Global Affairs at the University of Toronto where he teaches and conducts research on international negotiations, sanctions, and Iran's nuclear program. Mark has written for The New York Times, The Wall Street Journal, The Washington Post, The Los Angeles Times, Foreign Policy, The Atlantic, Forbes, Slate, The Weekly Standard, The Globe & Mail, and The National Post, and appeared on CBS Evening News, CNN, Fox News, NPR, PBS, BBC and CBC. Before joining FDD in 2003, Mark worked in venture capital, technology management and law. He has a masters in international public policy from Johns Hopkins University's School of Advanced International Studies, and law and MBA degrees from the University of Toronto.